hilltop villages looked down, defiant and timeless. Florence is compact. A wanderer emerges from quiet alleys and can be suddenly immersed in vast crowds of tourists. Oh why does great art so often seem to be in very hot climates? inside: municipal showing off? 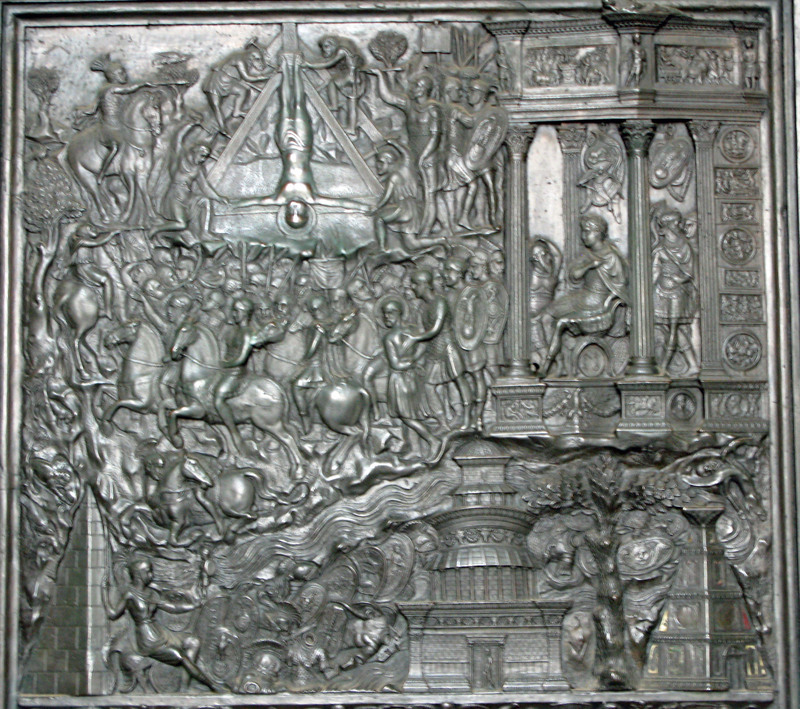 ), the Academy (with Michelangelo’s David and the slaves) and the monastery of San Marco (with the Fra Angelica frescoes: Oooohhhhh). The serendipity was finding the Duomo museum which was devoid of crowds and full of treasures. 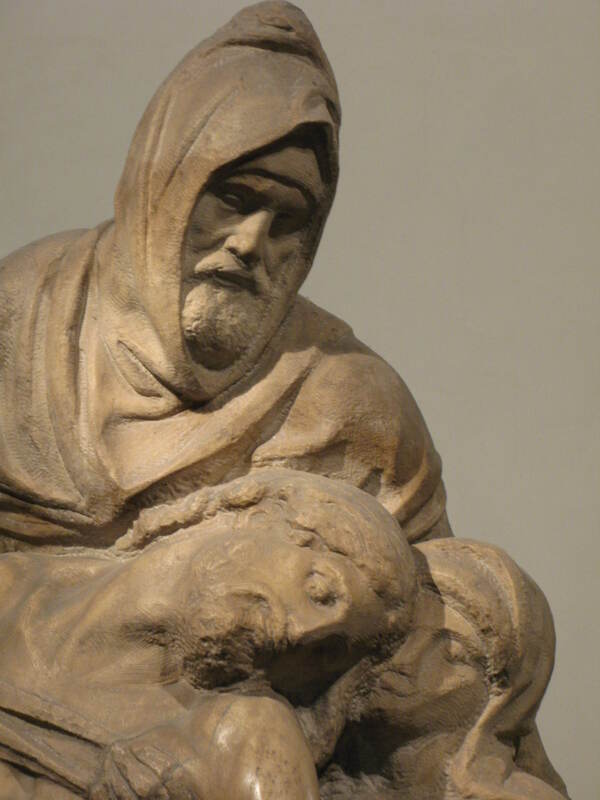 I remember especially Donatello’s Mary Magdalene and, especially, Michelangelo’s deposition, with his octogenarian self-portarit of Nicodemus. I hope to revisit this week. Today I visited the Basilica Church of Santa Croce which has some wonderful religious art and is a beautiful building. Here lies buried Michelangelo, Machiavelli and Galileo. Here is the chapter house designed by Brunelleschi, an annunciation in bas relief by Donatello and the famous Cimabue crucifix, so badly damaged by the 1966 flood. 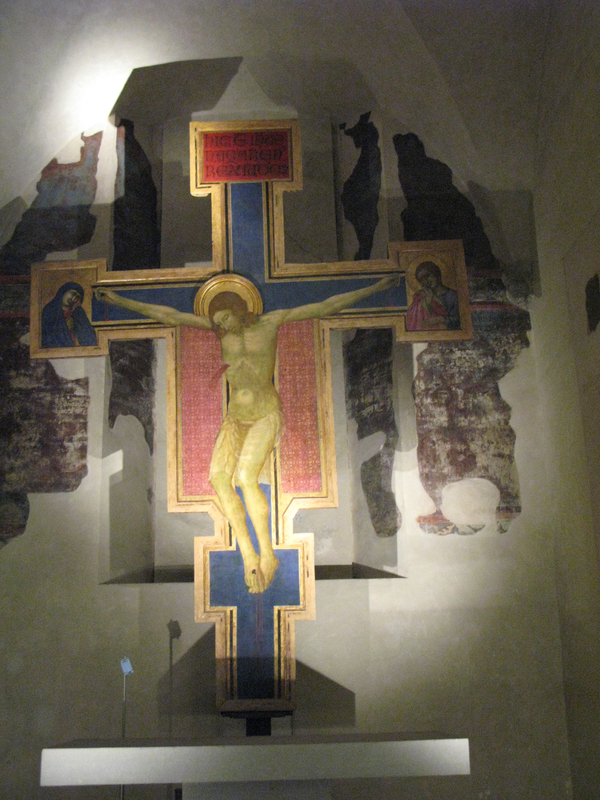 In the museum in the cloisters are some f the damaged works now beautifully restored, but the Cimabue crucifix seems to have been left in its scarred beauty rather than reconstructed. There is, however, a life-size replica, in beautiful colours and displayed in an appropriate ecclesiastical context. completely filled with scaffolding so that renovations of the frescoes there can take place. But the Giotto frescoes of the life of St Francis can be seen in all their delicate beauty. As I gazed at his rendering of the death of Francis, I thought ahead to my visit to Assisi in a few week’s time. 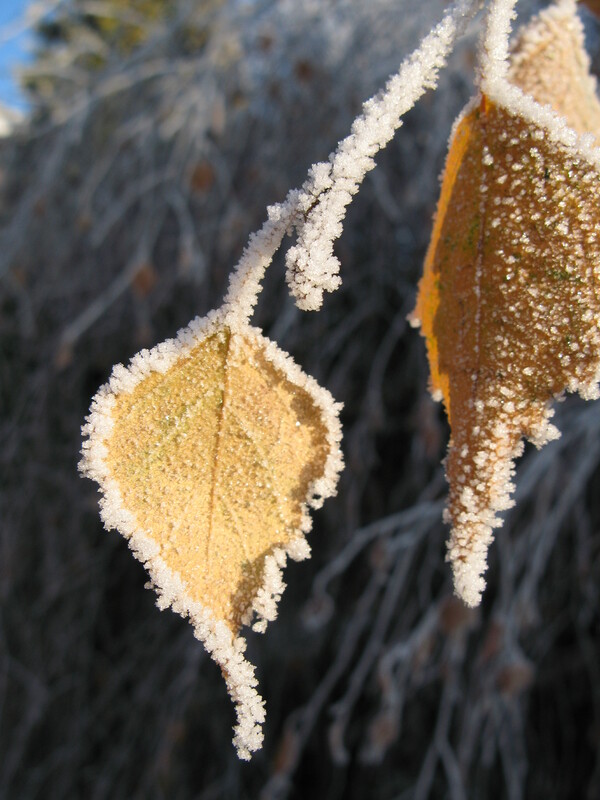 Surrounded by his friends – Francis was a saint who was attractive in his following of Christ. Respected and trusted by the Pope, a man who drew many, high and low, to his side through simple goodness and a loving simplicity that drew people to God. An inspiration then and now. There’s more about this on the Italian Journey page. 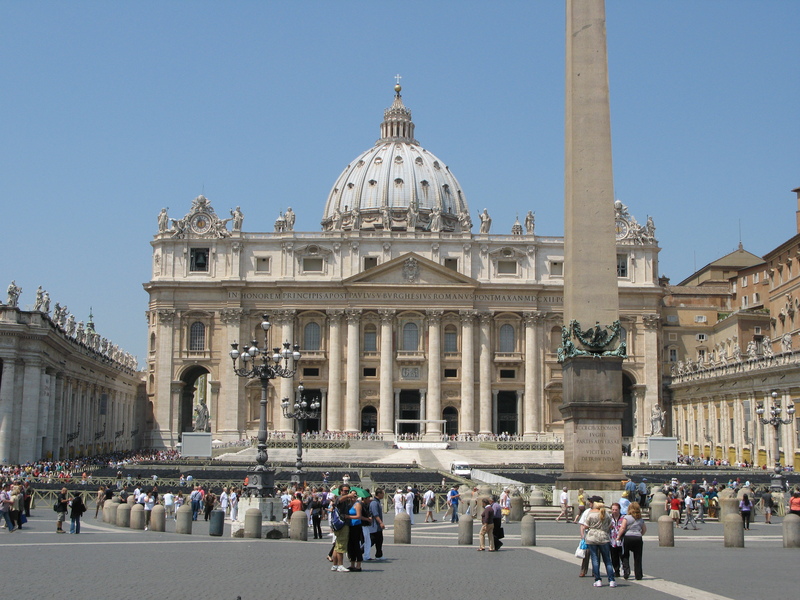 Today I visited St Peter’s, the largest basilica in the world and the central church of the Roman Catholic Church. I wasn’t sure what to expect. Giant architecture and plenty of Baroque art, for sure, but would it feel like a church or a museum, a place of faith or a centre of tourism. Well, faith was certainly in evidence. I didn’t connect with all the massive sculptures, of saints and cherubs, although downloading a podcast guide by Sister Wendy Becket helped. But I did connect with the faith of the people who came, tourists and pilgrims, pray-ers and photographers, bustling to yet another wonder one minute and standing reflectively the next. I wasn’t overwhelmed but neither was I repelled as I have been in some other churches in other places. Kneeling in the Chapel of the Blessed Sacrament, I meditated on the earthiness of the incarnation – God with us in bread, in a meal amongst friends, in the tangible focus of a shrine. But there was to be much more – for I had booked ahead for a tour of the necropo lis that had been excavated in recent years beneath the church. A pagan burial ground beneath the foundations of Constantine’s basilica which he built in 330 CE on what was believed to be St Peter’s burial place. (The present church was built in the sixteenth and seventeenth centuries, with contributions from Michelangelo, Bramante, Bernini and others.) Nine metres down we explored a street in the city of the dead – from Egyptian mausoleum , through pagan cemetery to Christian graves from the middle of the second century until Constantine filled it all in and built a church on top. 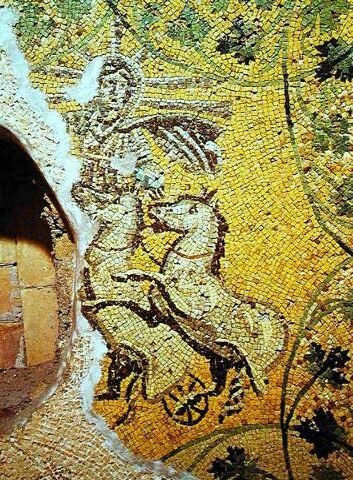 Mythological mosaics and Christian symbols stand side by side, sometimes interwoven, like the image of Christ represented as a sun god, buried for over sixteen hundred years. And then, towards the end of the tour, the account of the detective work that leads those involved to believe that St Peter’s remains have been unearthed and lie under the altar of St Peter’s church. Here’s the story. St Peter was martyred during the rule of Nero, between 54 and 68 CE. It is told that when he learned that he was to be crucified, he asked to be crucified upside down because he wasn’t worthy to share the same mode of death as his Lord whom he denied. When it was over, he was cut down peremptorily, his feet hacked off to save time. He was buried in a poor man’s grave in the not very pleasant Vatican area outside the city walls – near the place where a necropolis was soon to grow up. This was where Constantine built his church, placing the altar where the resting place of Peter was believed to be. Today Bellini’s great altar canopy stands above the same spot. During the excavations bones were found which fit the bill. Nothing is conclusive of course but archaeological evidence only ever corroborates, or disproves, rather than proves identity. At the end of the tour the guide read some words from the gospels and invited us to pray. The silence was rich and deep. I was strangely moved – for a Baptist – at a shrine – before some relics, however holy. What moved me was not so much the possibility of connection with Peter thorough the presence of bones, but the spirit of the place. Here, or near here, Peter had witnessed unto death, the sordid end of a big hearted disciple. Here he had been a rock and his death inspired those who followed. This was, this is, holy ground, for here a life was given up for love of his Lord. And in this love a church has been nourished and inspired. A had come as a tourist – but I left a pilgrim. On Saturday I visited the Sistine Chapel – a long-awaited visit to see art I had studied in books. Michelangelo’s ceiling somehow left we strangely unmoved – perhaps it’s just too far away. I need to be up on the scaffolding with my nose a few feet from the plaster – I always thought you had a better view on the TV than you did at the cricket match – perhaps the ceiling is the same…. Yet, as I cricked my neck to follow the story of creation, fall and redemption I noticed a detail which had passed me by before. My eyes had always been drawn by the iconic touching of finger tips, as God gives life to Adam. But what struck me as I looked again was the group of cheeky cherubs trying to strain around God in order to see what he was up to now. Arrived in Rome. I have settled into the Venerable English College where the h ospitality has been warm and gracious. 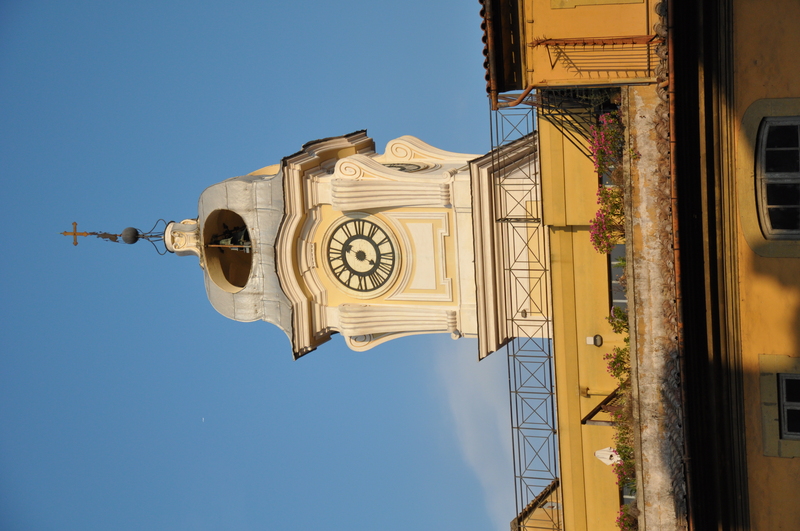 From my window I can see the clock tower – and hear it every quarter of an hour – but not, thankfully, at night. 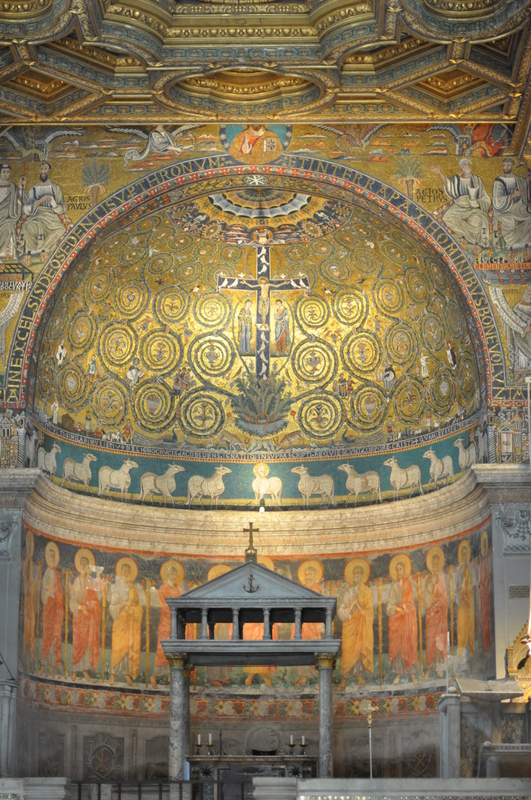 Today I crossed the Tiber into Trastevere and visited the church of Santa Maria. It was fairly early and the church was quiet. 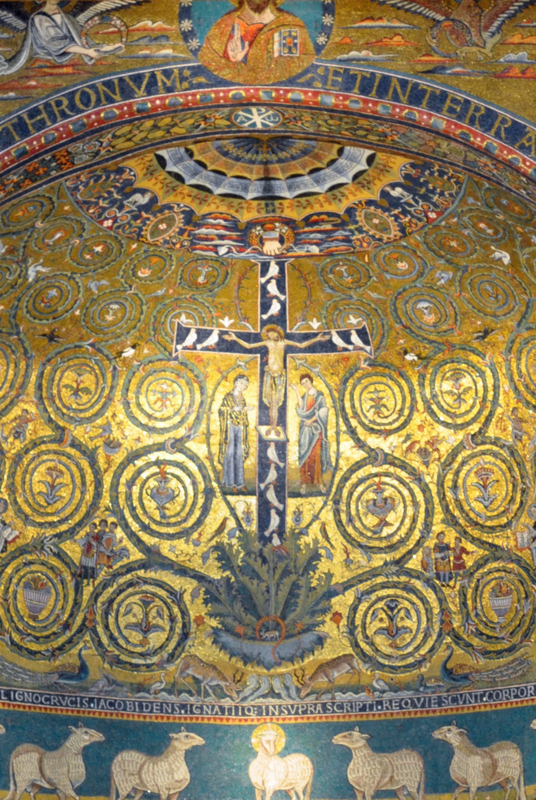 The mosaics were stunning but I was more affected by the play of light and shadow outside in the portico. I recrossed the Tiber – was distracted by some ancient columns behind the Theatre of Marcellus (which I drew) and visited the Gesu Jesuit church – but the Baroque triumphalism left me cold. Strangely, I was also unmoved by the Pantheon, apart from technical wizardry of that concrete dome. The real find was the basilica of Santa Maria sopra Minerva which contains the tombs of the great mystic, Catherine of Sienna, and the great artist Fra Angelica. 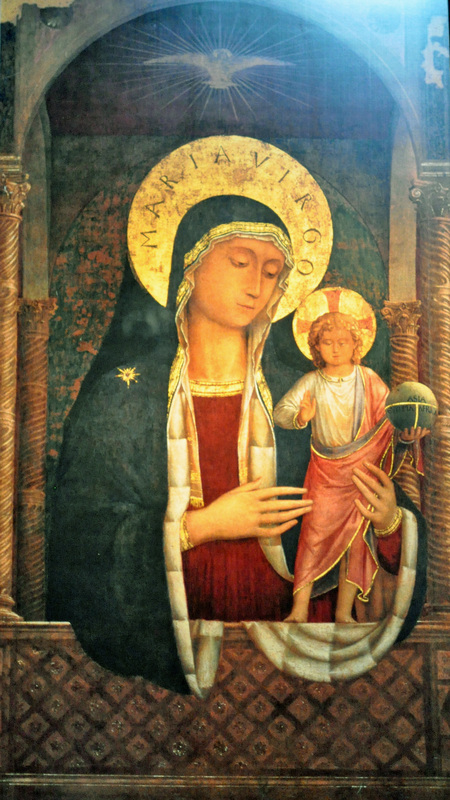 There was a great stillness in the side chapel which contained an image of the Madonna and child – once thought to be by Fra Angelica but now attributed to his pupil Benozza Gozzoli. Tempera painted on silk and then mounted on board, the painting is exquisite but, far more, it invites reflection and prayer. I photographed it (hand held in poor light) and then simply sat and looked.